UMaine Cooperative Extension is your doorway to University of Maine expertise. For over 100 years, we’ve been putting university research to work in homes, businesses, farms, and communities — in every corner of Maine. 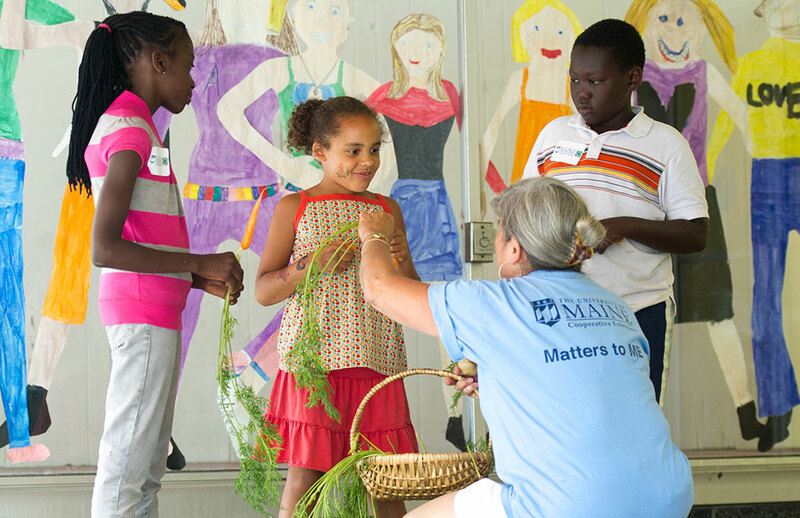 Our educational efforts focus on the Maine Food System and Positive Youth Development through 4-H programs with a focus on the STEM disciplines. We are part of the nationwide Cooperative Extension System, which works through the land-grant universities in each U.S. state. Maine’s land-grant university is in Orono at The University of Maine. In addition to our state offices in Orono, we have a network of county-based offices staffed by experts who provide practical, locally-based solutions for farmers, small business owners, kids, parents, consumers, and others. We receive federal support through USDA, state support through the University of Maine, and local support through Maine county governments.